The Armored Maiden tee design is for the Metroid fans that dig the awesomeness of the metal band Iron Maiden. So instead of the band name "Iron Maiden" there is "Armored Maiden" which is making use of the actual definition of the term "Maiden". 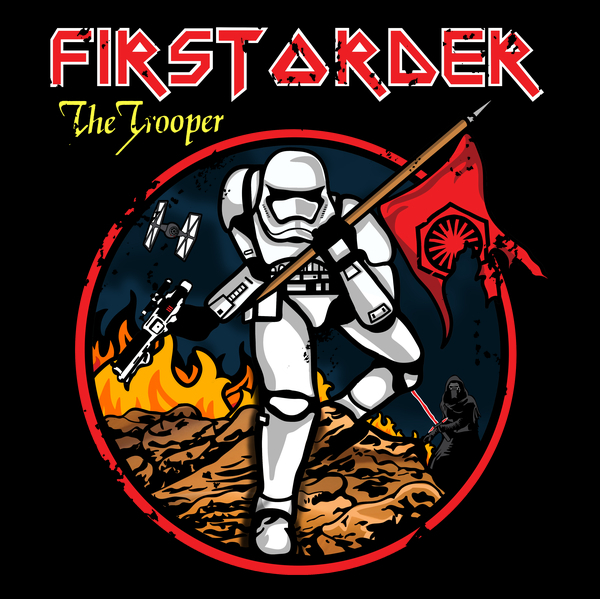 The concept is cool and much like the Galactic Empire tee and it makes a much better mash up or parody of Iron Maiden's The Trooper than say the Skeletor version (which isn't bad) or the Mars Attacks version. As for the artwork, it is epic. It features Samus Aran instead of Eddie and the substituted flag has the breast sigil of Samus's Zero suit instead of the Union Jack. 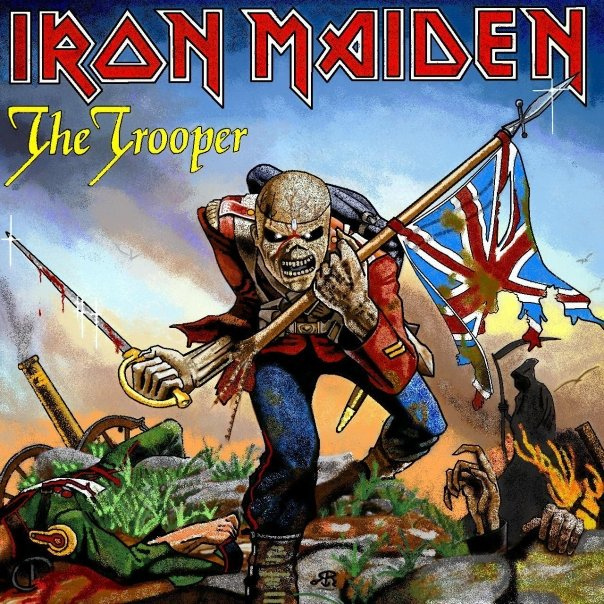 It has the "The Hunter" as the album name instead of the original "The Trooper" which is parodying. Other game elements replace the rest of the album cover such as her crashed ship in place of the canon and various enemies instead of the Grim Reaper in the bottom right corner. All mirroring their counterparts perfectly. The shading and coloring is masterfully done as is expected from Ninjaink. This Armored Maiden tee will make a nice gift for the Nintendo and Metroid fans. Plus it is available in kid sizes so they won't miss out on this sci-fi and rock legend tribute. This is a good gamer shirt that fits in anywhere such as Comic-Con or to rock concerts. Armored Maiden Tee Design by Ninjaink. GALACTIC EMPIRE THE TROOPER Tee Review. 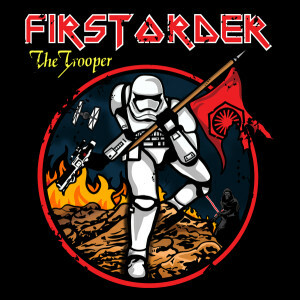 The Galactic Empire The Trooper tee design is for Star Wars fans that dig the awesomeness of the metal band Iron Maiden. So instead of the band name "Iron Maiden" there is "Galactic Empire" which is fitting. The concept is great. It makes a much better mash up or parody of Iron Maiden's The Trooper than say the Skeletor version (which isn't bad) or the Mars Attacks version. 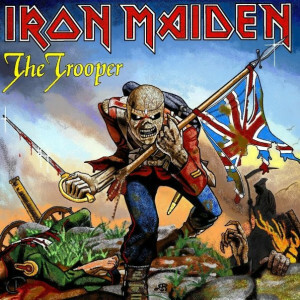 As it actually has parallels with the "trooper" concept with a Stormtrooper carrying a Galactic Empire Flag in place of Eddie as The Trooper carrying the Union Jack (Shown below). It is definitely one of the best three Iron Maiden derived mash ups that I have seen. 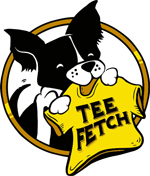 At least in the pop culture tee circuits. As for the artwork, it is beautifully done. To simplify things Mark used a circle to keep the focus on the Stormtrooper rather than the battlefield. Thus eliminating a lot of busy background elements that were in Iron Maiden's actual album cover. While it is difficult to be as badass as Iron Maiden's original cover art, Darth Vader makes an appearance in the corner instead of the Grim Reaper. Thus, bringing it up to par. The coloring, shading, and style is a nice blend of the Star Wars comic books and the album art. Which makes the design work. There is another version of this same concept done by someone else that is just terrible at all three (show below). This GALACTIC EMPIRE THE TROOPER tee will make a nice gift for the Star Warriors both Jedi or Sith. Plus it is available in kid sizes so they won't miss out on this sci-fi and rock legend tribute. This is a good casual shirt that fits in anywhere such as Comic-Con or to rock concerts. GALACTIC EMPIRE THE TROOPER Tee Design by Mark Welser.